Video Mix is the easiest and fast way to join and mix video clips and create your full video film. Designed to merge video files easy, it support any format of video file in input (mp4, avi, mov, mpg) and also any format in output. No need any tutorial, you have only to add video files, set start and end times of each video and create the output. The transition from one video to another happens through fade in/out effects, and also you can activate the mixing technique “crossfade“. Try for free the software, download it from the following button. Moving the sliders onn the waveform you can also set a new start and end point for each video file so that you can remove unwanted parts and merge only the best parts of your video files. 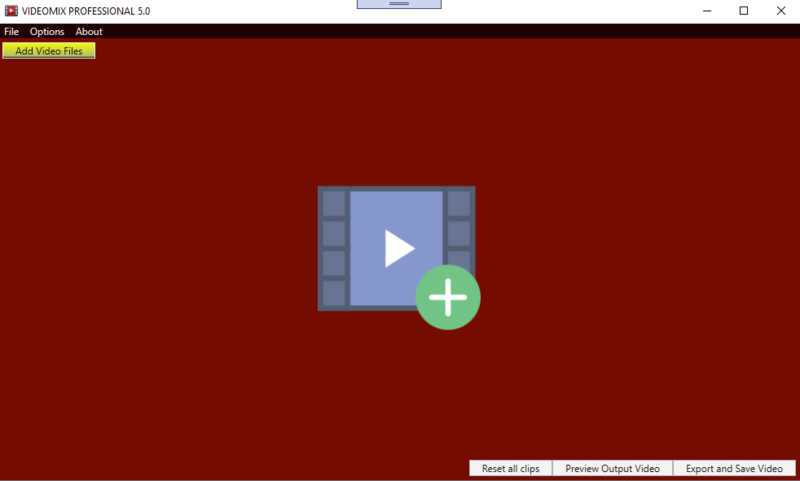 Clicking on “Preview Output Video” you can see the result of the merging. If all is OK you can click on EXPORT button at bottom right. 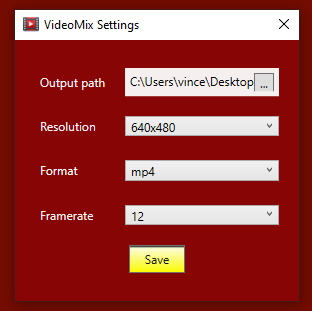 The default output video format is MP4 and the resolution is 720p. You can change these settings from the “Options” menu.